NEW YORK (CNS) — Looking back 2,000 years to the historical world of Jesus as well as that of his persecuted followers over the next three centuries is the two-part documentary “From Jesus to Christ: The First Christians,” to be rerun as a “Frontline” documentary Tuesdays, Dec. 24 and 31, 10 p.m.-midnight EST each night on PBS (check local listings). Ever since the 1947 discovery of the Dead Sea Scrolls, biblical scholarship has been busy with archaeological digs, comparison of manuscripts and speculation over texts. These activities have been accompanied by a rush to bring the latest finding, no matter how tentative, to the public by translating the complexities of specialized research into journalistic and, at times, even tabloid prose. Drawing on the input of 12 New Testament scholars, this four-hour series tries to avoid the oversimplifications and slippery generalizations that have generated controversy in the public arena. This kind of research is prone to misunderstanding because its results are often provisional rather than definitive, apt to be discarded or refined as new discoveries come to light. In exploring the historical context of the Gospels, these scholars confine themselves to the archaeological evidence and textual analysis rather than personal religious convictions or lack thereof. Though some Christian viewers will find this approach unedifying, if not confusing, others may gain new insights which deepen their faith rather than undermine it. Certainly the first two hours provide a rich introduction to the Jewish world into which Jesus was born, all of which is helpful in reading the Gospel accounts of his life and mission. What is central in the historical context is the subjection of Judea to Roman rule and the rise of political rebels and messianic sects looking for a new kingdom to replace the old. The Dec. 24 program examines how the Gospel accounts came to be written, the struggle between differing Christian sects, and the emergence of Rome as the center of the early church. Produced by Marilyn Mellowes and directed by William Cran, the series presents a secular account of the rise of Christianity without directly taking up the question of Christ’s divinity, which is a matter of faith and beyond the scope of series. The series will, however, antagonize those who take a strictly literal view of the Gospel accounts and surely irritate most historians by using the clunky B.C.E. (Before the Common Era) to replace the common usage and historically correct B.C. (Before Christ). 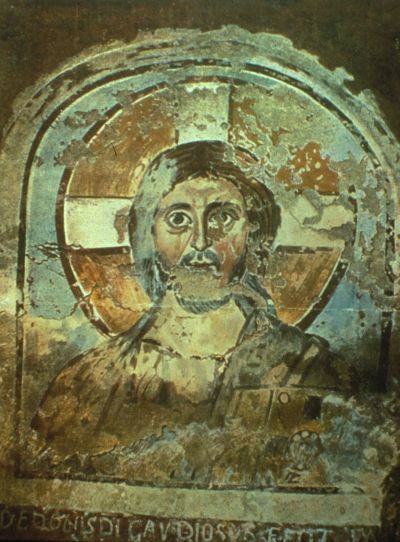 As a presentation of the “Frontline” series of investigative reports on current affairs, this scholarly probe into the historicity of Jesus and the development of the early church offers some tentative reflections on the birth of Christianity as it enters its third millennium. Herx was former director of the Office for Film & Broadcasting of the U.S. Conference of Catholic Bishops.